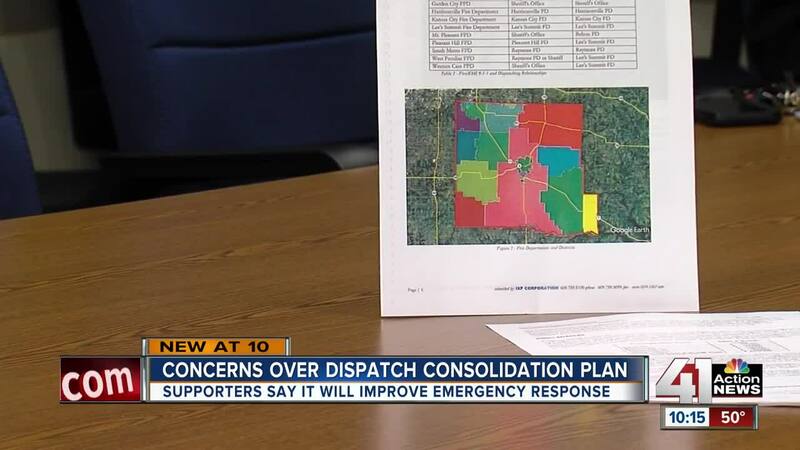 As debate continues in Cass County over a controversial plan to possibly consolidate five emergency dispatch centers into one, supporters say the response to a crash near Lake Winnebago last month could serve as a warning to improve efficiency in the area. UPDATE — Dec. 19, 2018, 12:00 p.m. — At a Cass County Emergency Services Board meeting Wednesday morning, the motion to consolidate 911 services into one location in Cass County did not receive a second motion, and so was not voted upon. PREVIOUS — As debate continues in Cass County over a controversial plan to possibly consolidate five emergency dispatch centers into one, supporters say the response to a crash near Lake Winnebago last month could serve as a warning to improve efficiency in the area. Ryan Moody was driving along 291 Highway near the border of Jackson County and Cass County in November when he witnessed the aftermath of a crash. “There was a truck into a telephone pole with airbag deployment,” he told 41 Action News. Moments later, Moody called 9-1-1 for help. However, he soon ran into some problems with the dispatchers. Moody said he was transferred four times in total, which he believes led to the response being delayed by several minutes. Moody’s recollection of the experience comes as emergency response and area dispatch centers remain in the spotlight in Cass County. Back in 2012, Cass County residents passed a ballot measure calling for emergency dispatching to be more centralized in the area. 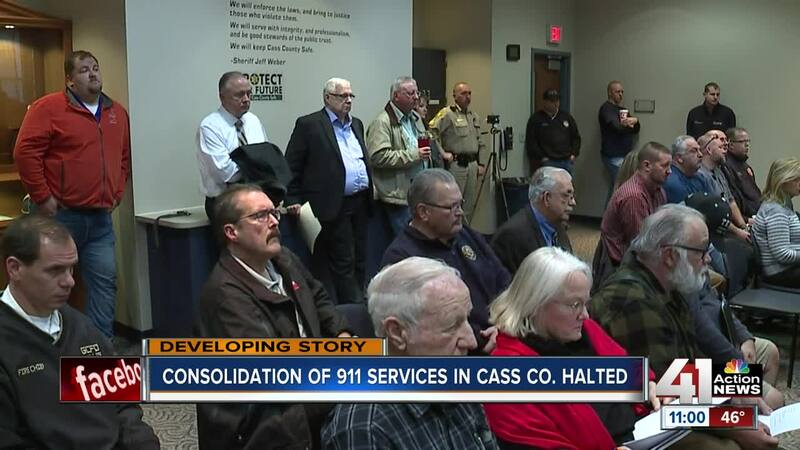 Years later, the measure could lead to dispatch centers in Belton, Harrisonville, Pleasant Hill, Raymore, and the Cass County Sheriff’s Office consolidating into one. Opponents of the plan have pointed to the area “virtually consolidating” in recent years, with first responders around the county now all connected on the same radio system. They also say further consolidation could lead to higher costs for taxpayers and possible job losses of experienced emergency dispatchers. Multiple city leaders around the county have sent out statements opposing the plan, including Belton City Manager Alexa Barton. Barton called the plan “a detrimental step backward” and said possible legal measures could be taken to ensure the dispatch center stays open in the city. Others, like Raymore Police Chief Jan Zimmerman, said the current system does not need to be changed. The consolidation plan will be the topic of a meeting being held on Wednesday at 8 a.m. at the Cass County Sheriff’s Office. Chief Zimmerman said the meeting would serve as an important chance to debate the issue.